Facebook business users face a decision: stay or go? Facebook has proved highly valuable for business, but the recent revelations about how data is being used have shocked many people. It is time to re-evaluate your business use of Facebook. It may even be time to give up Facebook altogether. In case you haven’t caught up with the news, here’s a quick summary of what has happened in the past few days. As if this were not enough, Facebook has come under increasing pressure from financial analysts for almost a year due to the “Fake News” issue. 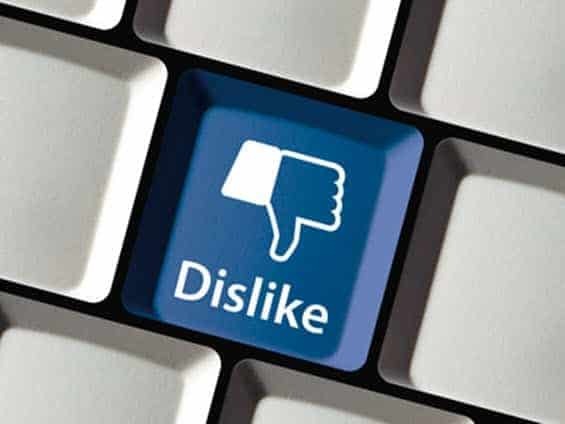 Facebook responded by introducing new software which only made matters worse. Furthermore, there have been a series of reports about the damage that social media does to us psychologically, with the UK Culture Secretary backing calls for time limits for children and the Children’s Commissioner in Scotland demanding a new watchdog on social media. Worse still for businesses, a study has found that social media activity harms sales in the long-term, rather than enhancing them. Facebook has undoubtedly helped many companies. Indeed, there are several businesses which would not exist, if it were not for Facebook. However, not all business use of social media and Facebook, in particular, makes sense. One study found that businesses use social media without any real measurement, even though they know they should be measuring the impact of what they are doing. Other research findings have shown that Facebook only really has any effect on big businesses, with large budgets. Smaller companies think they are gaining benefits, as demonstrated by “likes” and “followers”, but these are rarely translated into sales. Facebook has an impact on stress, anxiety and depression, potentially making staff perform less well than if they didn’t use Facebook. Facebook will have an impact on your GDPR requirements if you use it for business. Are you certain that you are fully protecting individuals? The Sinclair C5 was launched in January 1985 and was a “revolution” in personal transport that apparently “startled” car manufacturers who saw it as some kind of threat. Ten months after the launch, the company was put into administration. The Sinclair C5 had been a spectacular flop, after a four-year build-up. The technology consultancy, Gartner, would probably put the Sinclair C5 in the “trough of disillusionment” in its “Hype Cycle“. Every new technology appears to go through the same cycle. Firstly, the technology is introduced, and fairly quickly everyone is saying “why wasn’t this invented before?” That reaches a crescendo ending in the “peak of inflated expectations”. Then people start to find fault, and the technology plummets headlong in to “trough of disillusionment”. If it survives, the technology then climbs the “slope of enlightenment” before reaching the “plateau of productivity”. As the Sinclair C5 shows us from more than 30 years ago, some technologies never manage to clamber out of the “trough of disillusionment”. Facebook is currently hurtling towards that point, and there is a danger, as for all technologies, that it may stay there permanently. For businesses, this is the issue now to consider. If Facebook is heading into the “trough of disillusionment” what value does it have for marketing? Indeed, there is a reputational issue to consider too. If Facebook is tarnished by its failures, then that will rub off on your business if you use it as a marketing vehicle. Facebook knows it is in trouble. In recent days it has held staff meetings to discuss the issue. Earlier this year they began changing the news feed to try to encourage more participation. The problem they now face is either Cambridge Analytica exploited a loophole in the Facebook system, or Facebook allows this kind of data manipulation. Whatever the answer is, that’s not good for Facebook – or your business if you use Facebook data. Study after study after study shows that the number one concern of web users is personal privacy. When that is threatened, they do not respond well. Facebook can expect to lose accounts. It can be sure that the rate of new sign-ups will fall as well. Business users also have to consider the implications of using a network which has low levels of trust amongst its participants. We are either witnessing the beginnings of the death of Facebook, or we will see the birth of a new form of social media which emerges from this mess. Either way, if you have used Facebook in your business this period of re-evaluation and the subsequent pressing of the “reset” button will mean that the way you use Facebook now is not going to be the way you use it in the coming months. Indeed, that’s if you can use it at all. And don’t tell me that major brands like this cannot fail, especially in the month that ToysRUs collapsed, when Maplins started its disappearing act and when people wish that Woolworths and BHS were still around – oh and Lehman Brothers too. Just because you are a big brand, doesn’t mean you are invincible. Facebook is finding that out right now. And that means if you use Facebook for business it is time for a serious re-think. Just because you are a big brand, doesn’t mean you are invincible. Facebook is finding that out right now. And that means if you use Facebook for business it is time for a serious re-think.